No cookie sheet, no problem. 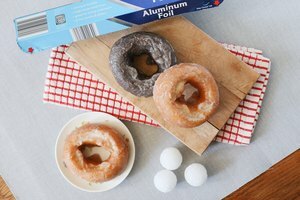 When you lack that piece of bakeware you have grown to rely on, you'll have to think outside the box. 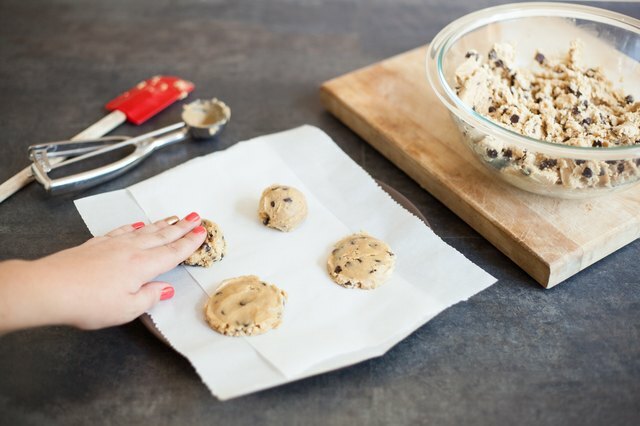 While baking cookies on a baking sheet may be the traditional way to go, keep in mind that all you really need is a heat source, a baking vessel and cookie dough. 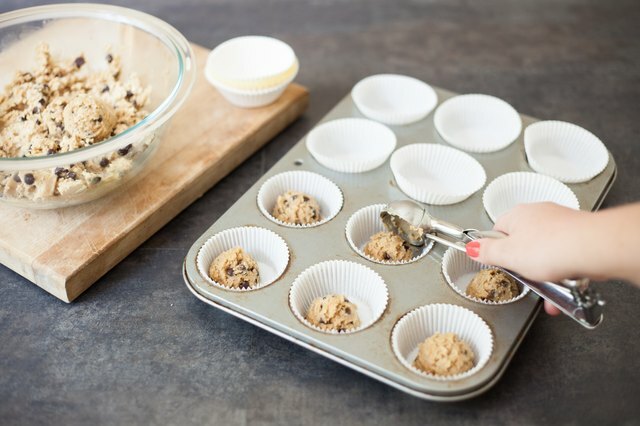 A muffin tin works in place of a baking sheet, forming cute cookie cups that either work as standalone desserts or vessels to hold other treats. Slip paper liners into the muffin tin and drop 2-inch balls of cookie dough into each cup. Put the muffin tin into a 325 degree Fahrenheit oven and bake for 20 minutes. Place the muffin tin on a rack to cool after baking. Press 2-inch cookie dough balls into evenly shaped cookies with your fingers. Place the cookies on piece of wax paper on a microwave-safe plate. Leave enough room for expansion between each cookie. Microwave on high for one minute, rotate the plate and bake another 30 seconds. 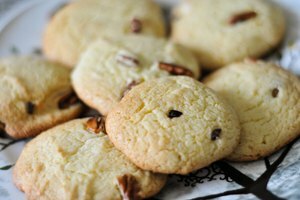 Check every 30 seconds after that for doneness -- puffy, dry cookies. Transfer the wax paper and cookies to a rack for a five-minute cooling period, removing the wax paper from underneath after the cookies have cooled. Use your fingers to press 1 pound of cookie dough evenly into the bottom of a seasoned cast iron skillet. Place the skillet in a preheated 375 F oven for 20 minutes. Remove the skillet from the oven after baking and allow the cookie to cool before removing it with a spatula. 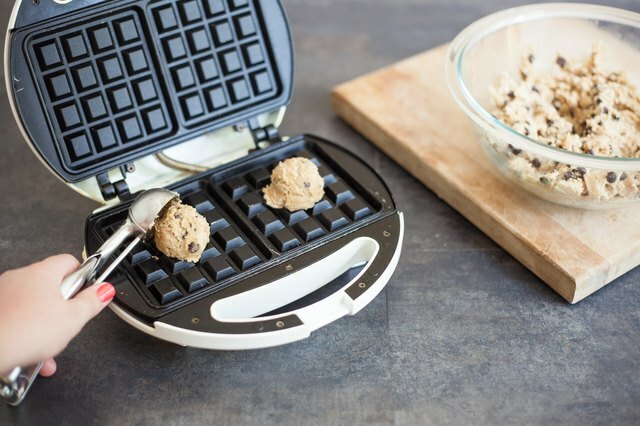 Bake your cookies in a hot waffle iron after coating the grids with a nonstick cooking spray. Spoon 1 tablespoon of dough onto each waffle grid and close the lid. Open the lid every minute or so and check the cookies for doneness. Remove the cookies with a spatula once they begin to turn golden brown. Cool the cookies on a wire rack before digging in.